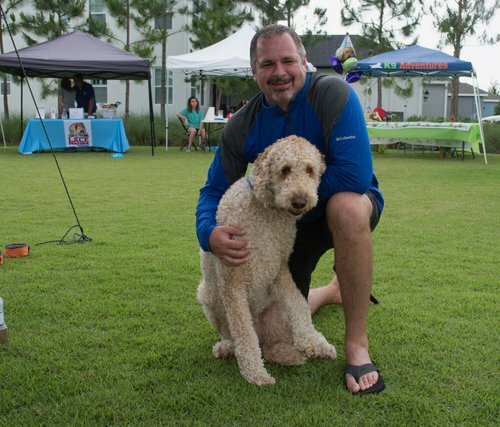 Tampa, FL (May 22, 2018): David Weekley Homes, the nation’s largest privately-held builder, celebrated its canine residents in Asturia with a Dog Day Afternoon on Saturday, May 19, benefitting Vets4Pets. Located in Odessa, Asturia features three series of homes, priced from the $300s. 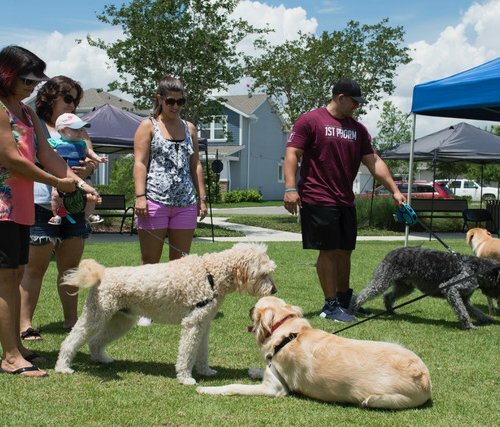 The dog-themed event brought out a number of vendor booths offering a variety of services from obedience training, grooming, healthy pet treats and more. Donations and a portion of the proceeds were collected, culminating in $650 in donations for Vets4Pets, a nonprofit organization providing low-cost veterinary care. For more information about Asturia, contact 813-422-6166. David Weekley Homes teamed up with residents and guests of Asturia to collect donations benefitting Vets4Pets.